The Archer Double Bass is a professional quality, fully hand carved 3/4 size double bass complete with case and bow. 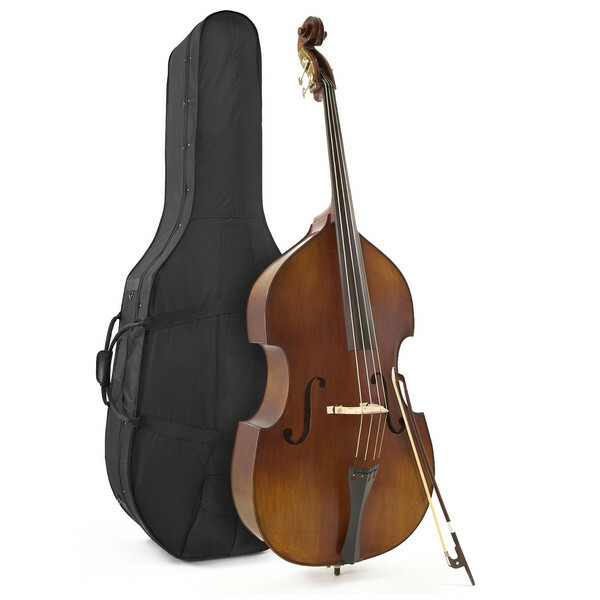 As a suitable double bass for all players, especially the most advanced performers, this double bass is a versatile instrument for rockabilly, jazz and orchestral playing alike with its featured adjustable bridge. Featuring ebony parts and sturdy metal tuning winders, this superior quality bass is made from select Canadian spruce, giving it a huge and deep sound, perfect for orchestral and plucked playing. 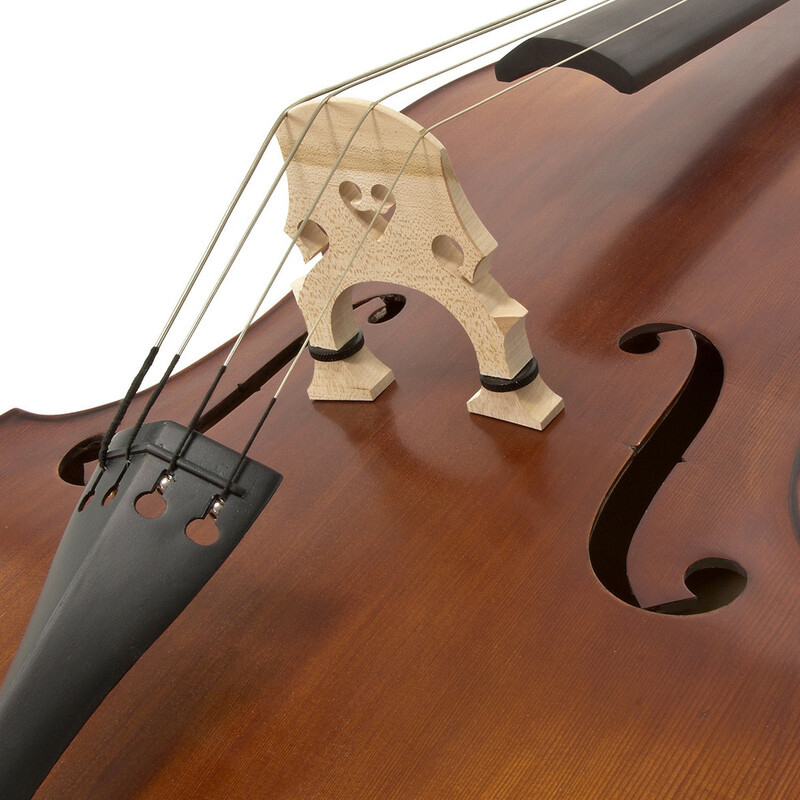 This double bass is a fantastic choice instrument for those that require a full and deep sounding instrument. Made from a solid Canadian maple body, this instrument resonates so well through the full range of the instrument, creating a deep and bellowing sound. Whether bowing or plucking, you?ll be sure to get a full range of dynamics out of the instrument. 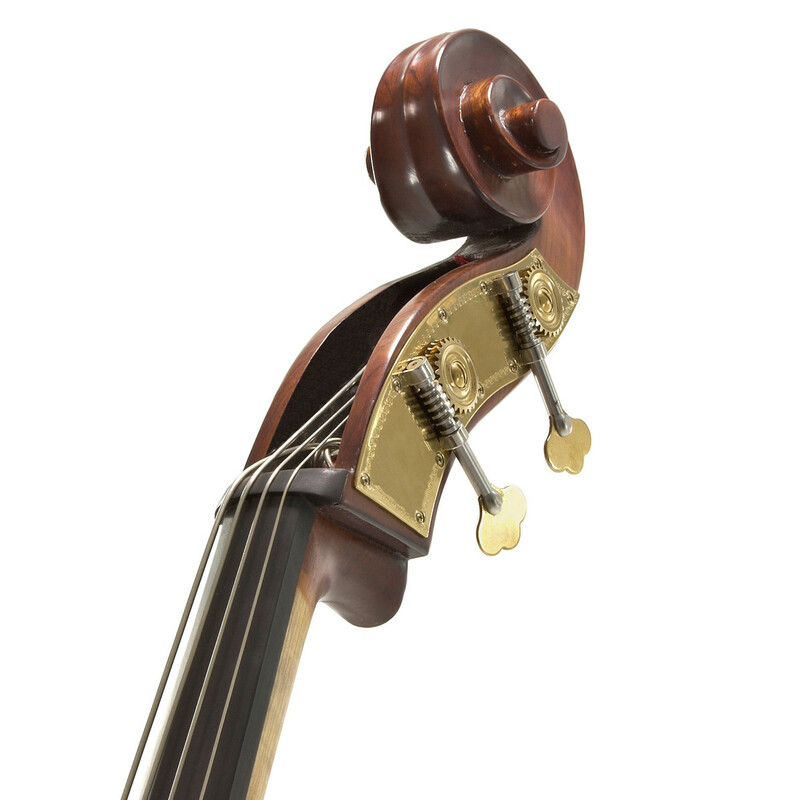 The Archer Double Bass has been designed for the discerning musician in mind. An adjustable three piece bridge has been added to the instrument so that the action can be set to a height that suits you. 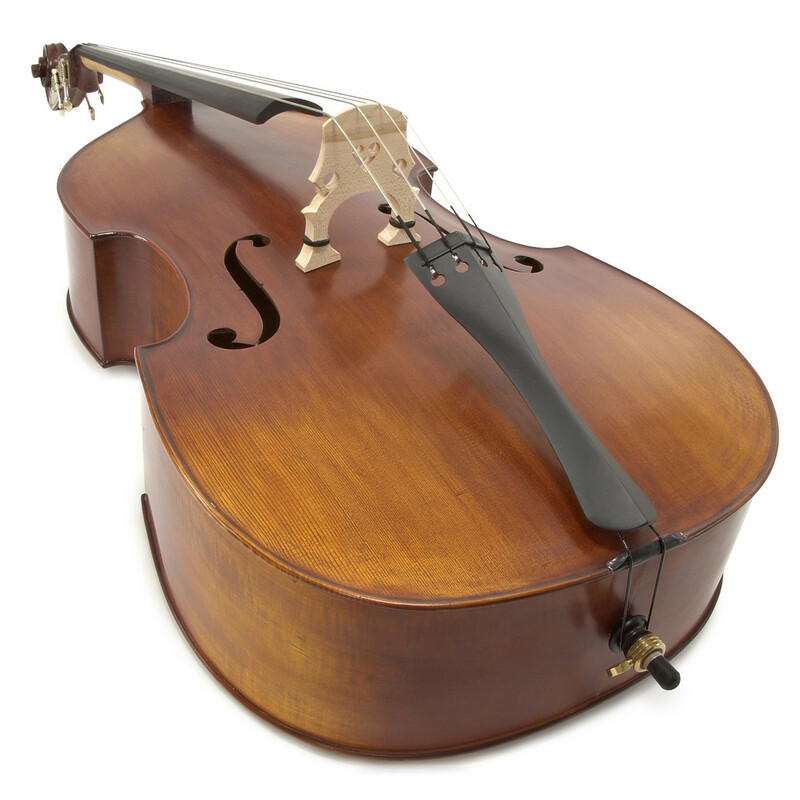 Whether you?re playing orchestral music and bowing the instrument or slapping the strings in a rockabilly style, the adjustable bridge will definitely help! The Archer double bass gives so much more than the price suggests. Including an sturdy ebony fingerboard fitted to a supreme maple neck, this instrument is not only really easy to play, but it will last for years to come. As well as that, the durable metal tailpiece and robust brass tuners make this an instrument that will give musical enjoyment for a very long time, without the fear of any malfunction. This double bass comes as a pack in order to get playing straight away. 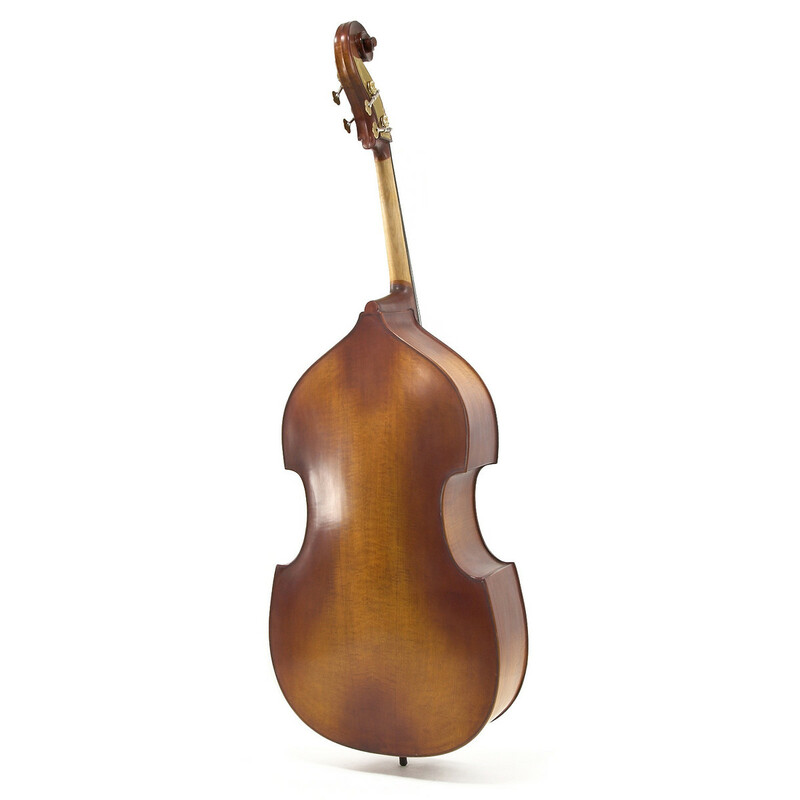 Included with the bass is a German style bow made from the finest hardwood. The bow features an ebony frog and adjuster, making it extremely hard wearing and durable. The lapping on the bow has been made from nickel silver and has a leather thumbpiece for comfort and durability. 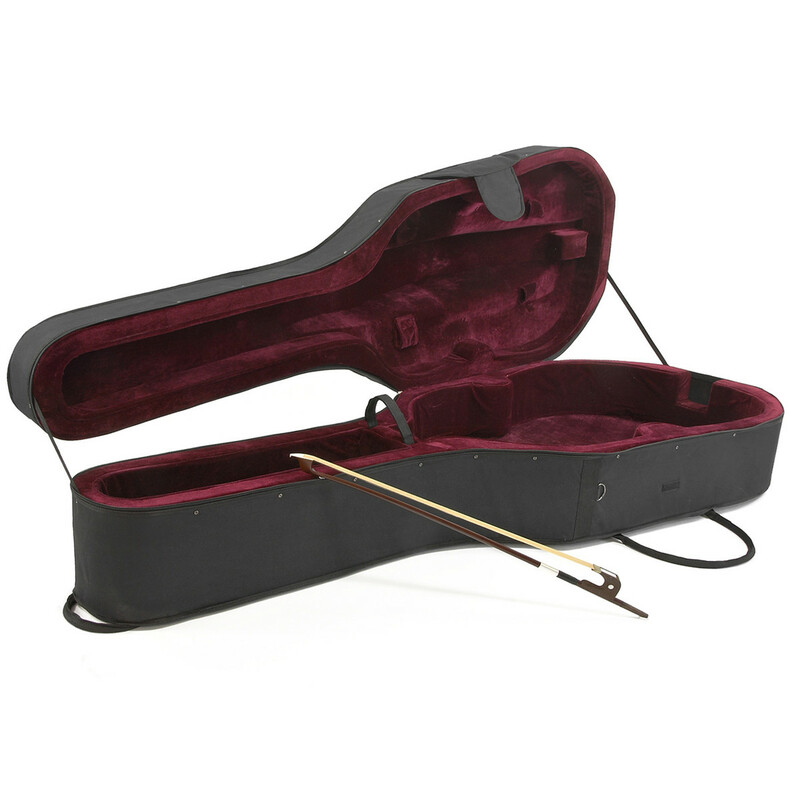 The case keeps the instrument extremely safe with its polystyrene moulded interior, covered in a plush lining. The mould is covered in a lightweight fabric and contains many handles and two wheels to make transporting the bass very easy indeed. "For all styles we could come up with, we were pleasantly surprised by the tone of the bass...the plucked tone is warm and well balanced." "The adjustable maple bridge and even a little sandpaper applied to the underside of its feet will allow you to set it to your exact tastes. It's equally convincing when bowed, with the just the right mix of rasp from the bow and depth from the spruce, and, all in all, we're impressed."